Question: How not to quarrel in the Third Temple? Answer: The Third Temple operates on completely different grounds, according to different criteria. Quarrels are not possible there. When we ascend to the spiritual world, egoism no longer grows; we are only influenced by the correcting force that we add to our egoism. Therefore, there cannot be further shattering. All this is stated in theory according to the laws of the correlation between the negative force of reception and the positive force of bestowal. By studying the methodology, we understand that we really are moving toward this state, and there will be no other. In our world, each of us has a very small desire for spirituality, a point in the heart. The whole heart is our egoism. Of course, we are not talking about the physiological heart-pump; we are talking about desires. And since I only have a minor desire toward the Creator, I am unable to receive more than a thin illumination from the spiritual, which fills our whole world with pleasures. In order to become similar to the Creator, it is necessary to unite with the friend because the Creator can be felt only in the desire to bestow, i.e., between us. As I try to unite with my neighbors, I begin to understand that I am unable to desire this. I even acquire a need to bestow. The Surrounding Light corrects the quality of bestowal in me. Then what do we lack in order to unite and receive pleasure? Much like a little child cannot understand what is wanted of him when grownups demand that he behave well, we, grownups, also don’t understand that we lack some conditions and actions due to which we will understand what is being demanded from us. Only due to this, the Creator “broke” the common soul (the common desire), separated it into an infinite number (let’s say, seven billion souls) so that we could elucidate what we lack in order to enjoy Him. Let’s suppose that He is some dish that I am unfamiliar with, which I won’t take until I wish to eat it. But what should I desire for this? In order to arm ourselves with the right desire we have to work on unification between us. And through this work I understand what I should desire. And after we try to unite, our hatred toward the friends will be revealed. And then along with investing in others and having others invest in me, we reveal the importance of the goal. Of course, all the while the Surrounding Light affects us. And as a consequence of its influence, I begin to acquire a need for the quality of bestowal: I wish to feel it, to acquire it! I already begin to hear that it is worth it, that it is something great, special, and elevated. I am told that with the help of the desire to bestow, I will break through into another dimension, where I will exist above all problems and above this whole world, and furthermore, I am coming to this here and now! In addition, I don’t die; I acquire an additional quality. So, why not? 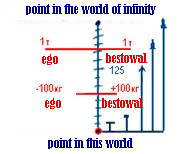 And my egoistic desire consents to this: “Ok, so you’ll have a quality of bestowal too!” This is called Lo Lishma (desiring spirituality egoistically, for your own sake). In other words, it occurs gradually, naturally, because such changes are instilled in us from nature. Thus I have the importance of the goal, and then I acquire a need for bestowal, and if I achieve the full measure of my efforts, the Surrounding Light already influences me and reveals the quality of bestowal in me for the time being, very slightly. Yet it is already enough for me to touch the Creator and feel Him. The first contact with Him is the most important and the most difficult, but then, after this, a person no longer needs further explanations; he begins to understand on his own what is being discussed. Question: What is the force of bestowal? Answer: We do not know what it is in our world. My entire “I” is the ego or the force of reception. I do not know what it is to “bestow,” and I do not know what “neighbor” means. I can only feel my neighbor do good or bad things to me; I can express my solidarity with him, but I do not feel anything outside of me. In other words, I represent a certain black box, and I only live through the things that go inside it and that make an impression on me. I do not know what is happening around me. All I know is the impressions that the things around me make on me. This is why we say that we experience the entire perception of reality inside us. I am not able to come out of myself and feel what is happening around me, as if my senses were a mile away from me. I think that I see something a mile away, but this is not true. My imagination paints everything for me. The property that helps me feel the things outside of me (whether they exist or not) is called the property of bestowal. We do not have even the slightest degree of it. However, when we begin to work on mutual bestowal in the group, according to the principle of “love thy neighbor as thyself,” we begin to acquire a certain need for obtaining the property of bestowal. 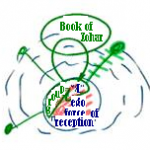 Only after this do I begin to read, let us say, The Book of Zohar together with the group. Through this, we evoke the influence of the force of bestowal over us. So far, I do not know what bestowal is, but Kabbalists tell me that it is a wonderful force. 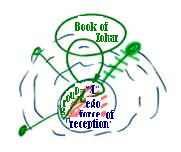 Since this book speaks of phenomena that happen outside of you, you need to read it together with the group, and, if you really want to attain the property of bestowal and you are connected with your friends above your ego, then the Light that Reforms, the force contained in the Torah, will come during the reading of The Zohar, and you will begin to acquire the property of bestowal against your ego. Once you acquire the property of bestowal, you will begin to perceive things outside of you, that is, the upper world. The exit into the spiritual word has levels. You will be able to attain infinity to the extent of your entrance into the spiritual world. Question: Can thought be measured? Answer: Our matter is desire. We measure the desire with the four degrees of Aviut. 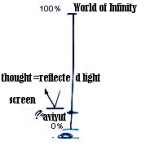 We have a scale to measure the spiritual desire from 100% to 0% from the world of Infinity to our world. Being on a spiritual level, I can measure the desire in accordance with the degree of Aviut. I create the screen over the degree of the Aviut of the desire. The screen together with Aviut gives me the strength of desire: what I want, what I aspire to, what I am planning to do. In other words, the Surrounding Light determines my thoughts, the extent of my ability to perform actions of bestowal. Where do I check this? On the degree of Aviut. The power of thought is measured through my ability to connect my intention and my action to the Aviut of my desire. We cannot measure the thought with the mind, but I check and measure the thought’s influence on the desire, and with this measurement I evaluate the thought. Question: On your shelf you have a disc called “The Tower of Babel, the Last Level.” Do you mean that this is the last level before the Source of Light? Answer: The last level of the Tower of Babel is the biggest ego that exists in us. And you must reach it in order to rise to the world of Infinity, because you can only rise there through a big ego. Question: But the model of the Tower of Babel is the model of sin. How can you use the human sin to arrive at the biggest Light? Answer: This can be done because they are connected. When you reach the biggest sins, you merit the biggest Light. Question: So I need to sin in order to come to the biggest Light? Question: So, you are pushing people to sin? Answer: Right now I exist in a small point of this world and I want to attain a higher degree. But I am unable to do anything with the ego that I have now, because my ego is small, there is just enough to use in this world. This is why I need to reveal a big ego, let us say -100 kg (the minus is there to show that this refers to ego). Then I correct it into +100 kg of bestowal, and this way I attain correction. 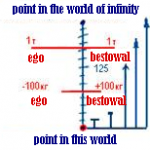 And on a higher degree, I will have one ton of ego, which I will correct into one ton of bestowal. And this will continue forever: one against the other. You sin, correct it, and arrive at the Light. Again you enter the ego, correct it, and again you attain the Light. This is how one advances in the spiritual world. You must reveal your ego, because ego is the material where the spiritual world becomes revealed under the condition that you correct it from reception to bestowal. It is written that: “There is no righteous person in the world, who has done good deeds without having sinned.” This is why we need the revelation of the ego. But we never work on revealing a big ego, evil, in us; on the contrary, we aspire towards the property of love and bestowal above and in spite our egoism. But when we succeed in this and acquire the property of bestowal, the egoism immediately grows, so we will rise above it once again. And this way we move ahead on two legs, the right line, bestowal, and the left line, reception. What is the purpose of creation? What are we living for? What is the purpose of life on earth? Mankind was interested in these questions at all times, but it especially concerns our generation, and even though we often hear about different forms of the existence of life in the universe, in reality, we see that we are alone. We really are alone in this entire, enormous system of the universe, and we do not understand at all that we exist on earth in special conditions that made life possible, and this is a very complicated thing. Just to originate the material form of life requires a collection of forces and a formation of conditions that enable its creation, not to mention the state that will be the origin of the development of life in the spiritual world. All these things always have astonished the great human minds in all generations. How and why did it happen? What is the need in nature or the upper force that has created everything in this exact form? Additionally, if not for the Kabbalists who actually have revealed the spiritual world and attained that exact point where life originated, we would not have known anything. We know that the physicists who tested the collider in Switzerland wanted to attain the point of origin of the so-called “Big Bang.” In other words, they were trying to simulate the spark of light that burst into this world and brought with it all of the matter that has formed in this world following this burst. However, Kabbalists already have gone beyond the limits of our world in their attainments, and they have completed the entire journey from the beginning of creation in the spiritual world to its final correction, and they have told us everything that happened there. We can find out about it from the Tree of Life by the Ari. They explain to us that there is an Atzmuto (the essence of the Creator) of which we do not speak because we cannot attain Him. We only attain the actions that come from Him. They are called the “thought of creation,” a thought or program. This program goes through us and constantly manifests in us since we are its derived action. 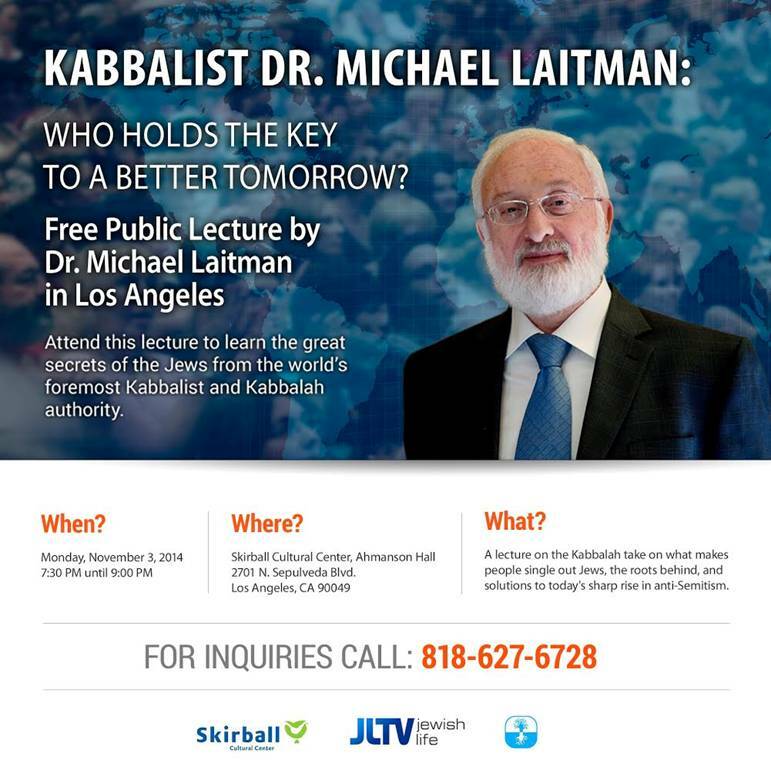 On one hand, Kabbalists tell us that this program is directly carried out by us. However, on the other hand, we are not just parts regulated by it, but also can come to understand it, feel it, join it, and even participate in it, since that force unattainable by us wants us to become its partners. This is why you launch your “inner collider,” which brings you directly to the beginning of the universe, and you return to the spiritual world through the beginning of the universe, and rise from the lowest spiritual world of Assiya to the worlds of Yetzira, Beria, Atzilut, Adam Kadmon, and the world of Infinity. In addition, when you tune into the world of Infinity, you acquire infinite attainment, perception, and understanding outside of time and space. We will be able to attain this only by uniting together as one man with one desire. Question: The Creator is called Bore (“come and see”). What does “come and see” mean? What does He want us to see? Answer: When I was a student, I also asked Rabash, “What does a person see who attains the spiritual world?” He responded that if one were to gather all the pleasure that mankind has experienced over the course of its existence into one enormous pleasure, this will only be a tiny glow—that is, a tiny spark—in comparison to the pleasure that exists on the first spiritual degree. Imagine that you are enjoying yourself like all of mankind in all the generations! This would be a kind of pleasure that we would not be able to even hold onto! This is why, when we attain the spiritual world, our desire acquires an intention for the sake of bestowal and we become able to hold onto the pleasure that is a billion times greater than the pleasure of this world. Where does this pleasure come from? In order to convey my sensations, I was not able to find a better word than “harmony” or “balance,” or “a union of opposite properties and processes.” This gives us the sensation of perfection, the greatest pleasure. It is written that “There is no greater joy than the resolution of doubts.” This is exactly what we feel. All the things that are considered to be opposite in our world begin to connect and complete each other in the spiritual world because one cannot exist without the other, like darkness and light. In this way, the desire to receive pleasure and the Light begin to complete one another and work together through the screen. As it is written, “Even darkness will not obscure [anything] from You, and the night will light up like day; as darkness so is the light.” Before the entrance into the spiritual world, we feel a great darkness that suddenly begins to shine like light, and this is the first, small sensation that comes from meeting it. However, gradually, we will see how all the problems and suffering, failures and wrongdoings, suddenly begin to bring us satisfaction and understanding of their need and purpose. I have a problem: I do not know how to advance toward the spiritual goal. I do not see it, and I cannot aim at it. This is why I constantly need to analyze to make sure that I do not deviate from the path. This is because even the slightest deviation in the beginning can lead to my inability to reach the goal, even if I continue going in the correct direction. However, I will think that I am going in the true direction, and I will not even notice “having strayed from the path.” This is why it is best if I stop, check where I am, and maybe even go back. Then, it may be possible for me to continue correctly on my path. However, which signs will help me determine and make sure that I am advancing in the needed direction, even though the goal is concealed from me? After all, for instance, for a rocket to hit its target when it is launched, the course of its flight is calculated according to very complicated formulas taking different factors into consideration: wind, speed, earth rotation, and so on. However, at least, we know all these laws. However, when speaking about the spiritual goal and rising to every new degree, we need to do the entire analysis in the beginning of the path while we do not understand anything yet, do not see the Creator, do not imagine the path, and who will tell me whether I am wrong? This is why Kabbalists say that the correct formula for the attainment of the goal is “Israel, the Torah, and the Creator are one.” Besides that, it is necessary for all three of its components always to be equal; none can prevail over another. All of them need to be together, constantly tuned into the same point. Israel is a person in the world who strives to come to the goal: straight to the Creator (in Hebrew, Isra (straight) and El (Creator). The Creator is a level of Bina, and Bina is the property of bestowal, Hafetz Hesed. What is the Torah? It is the Light that Reforms. In other words, I always need to strive toward a certain correcting force that can influence me and correct me until I reach a state where Israel, Torah, and the Creator will become one. The Creator is the root toward which we strive. He is our goal, the absolute, complete property of bestowal. In other words, when I correct myself completely in all of my desires, my correction will be called the Creator (HaKadosh Baruch Hu). This is why, before I undertake anything—whether it is my thoughts, desires, or intention—I need to hold on to all three components within me every moment in order for them to be equal and give me the sensation of unity between them. Then, I will walk correctly toward the goal. Question: What is the task of the individual within the overall system? Answer: Everyone’s task is to realize his mission. Each one is integrated into some circle and receives a form similar to the upper. A circle is a higher and more whole form. The force of the upper influence clothes us from all sides. Inside, in the circle closest to it, is Israel, and within this circle are the nations of the world. 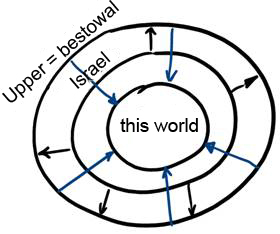 The more “round” Israel becomes and more close to the higher power, the closer it can bring the nations of the world, increasing the influence of the higher power on them. In this way all three circles become connected: the upper, the middle, and the lower.